Does your business have employees? Assuming the answer is yes, you also have people-related responsibilities…aka, Human Resources. In short, effective HR practices help your business to increase effectiveness and decrease risk. Success depends on effective execution of both product/service offerings as well as management of the people producing your products/services. The challenge for business leaders is understanding how to balance business risk and employment issues through effective HR practices. This interactive discussion will assist in assessing the employment-related risks your business may have and potential HR practices to help reduce risk and increase effectiveness of your business. Tresa Ball, SPHR, is the founder and President of HR Precision, Inc. As a consulting partner, she assists businesses in developing HR solutions aimed at increasing effectiveness and minimizing risk. She brings 25+ years of HR management experience, and her practitioner background enables application of strong HR practices. Tresa’s consulting work often involves HR practice assessments, challenging employee situations, workplace investigations, and organizational effectiveness work. Prior to founding HR Precision, Tresa provided significant contributions throughout the business life cycle in a high-tech environment. 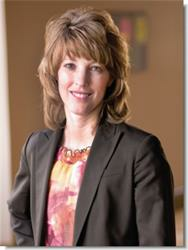 Her roles included various HR management positions and area Vice President of Human Resources. Tresa has partnered strategically with executive leadership to ensure alignment between HR and business strategies, directed an HR organization for both corporate and remote locations, and managed a staff of up to 100 individuals.